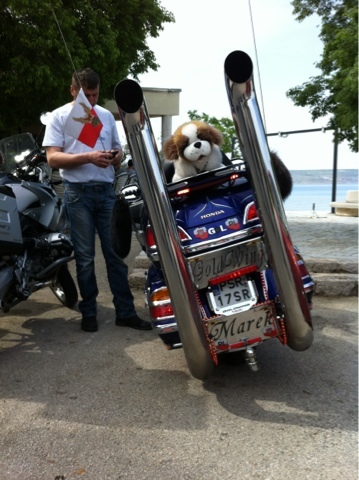 It is striking how many motorbikes we have seen coming to Croatia. Groups of riders from Finland, France and Poland converge in the Adriatic coast to enjoy the wonderful roads. Today's picture shows one of the more outrageous machines we came across. A customised Honda Gold Wing from Poznan. It's a bike Jim but not as we know it.